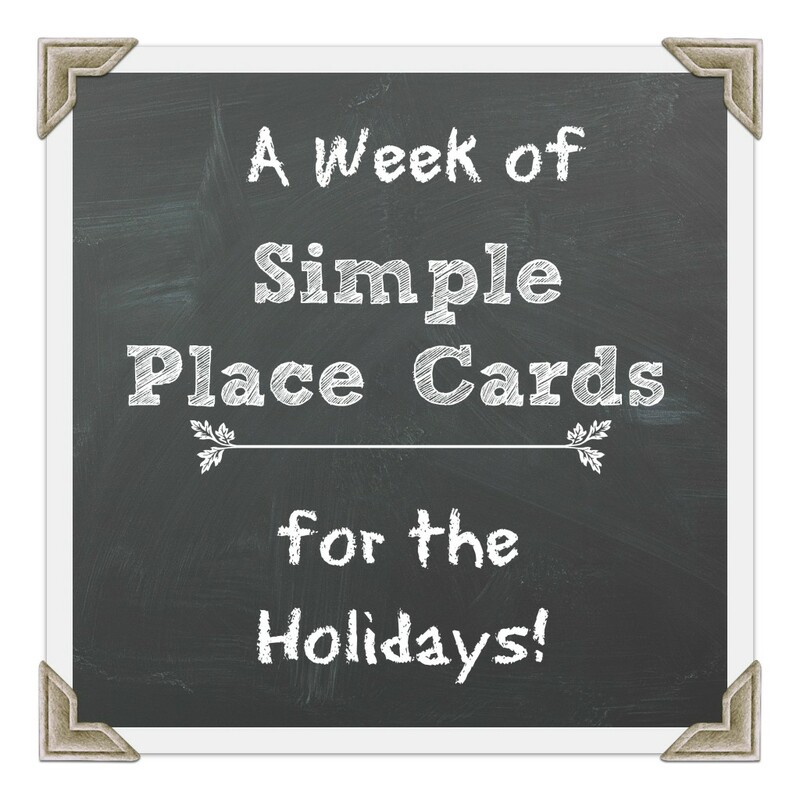 This is the last post in the series Simple Place Cards. 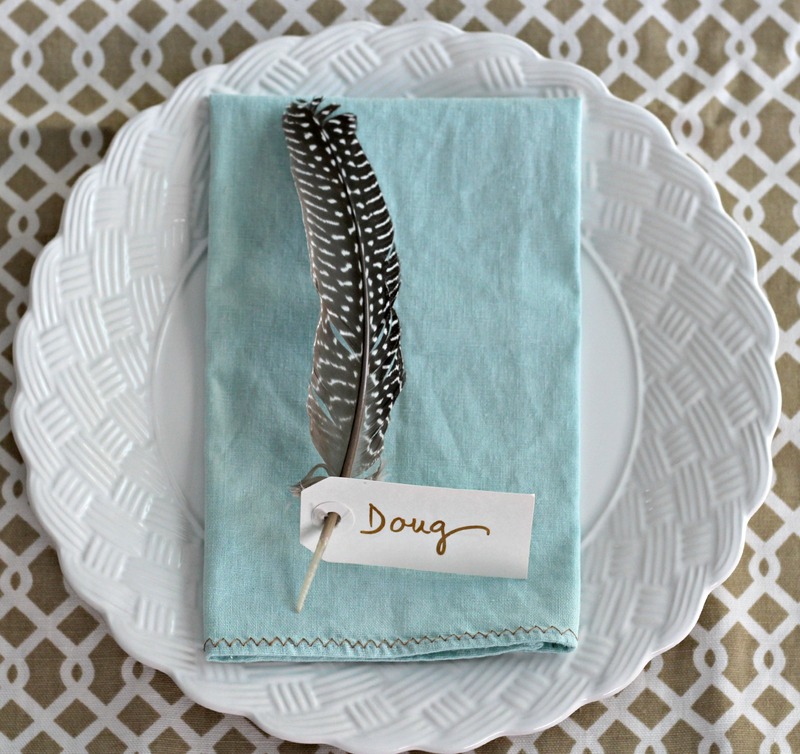 I hope I’ve helped you with some creative and easy ideas for place cards this holiday season. I’ve used a lot of natural elements in my ideas. 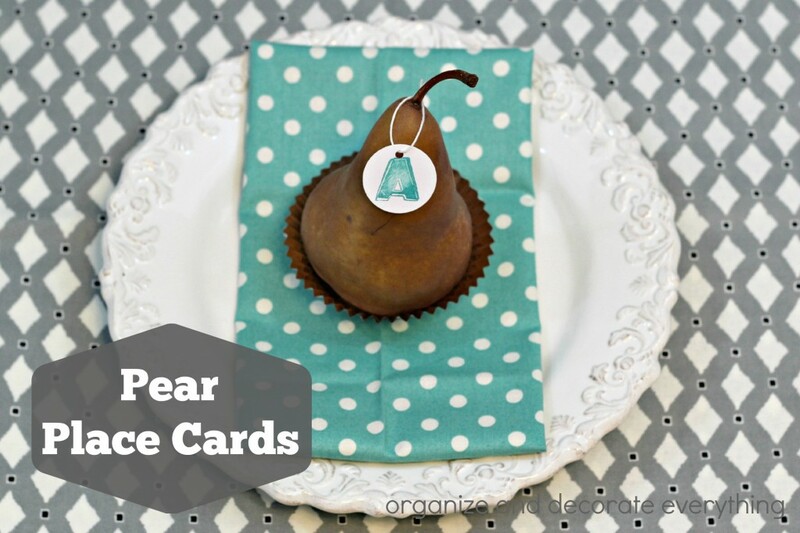 Today we are making simple Pear Place Cards. The best thing about these is that you can grab a few at the grocery store while you’re shopping. 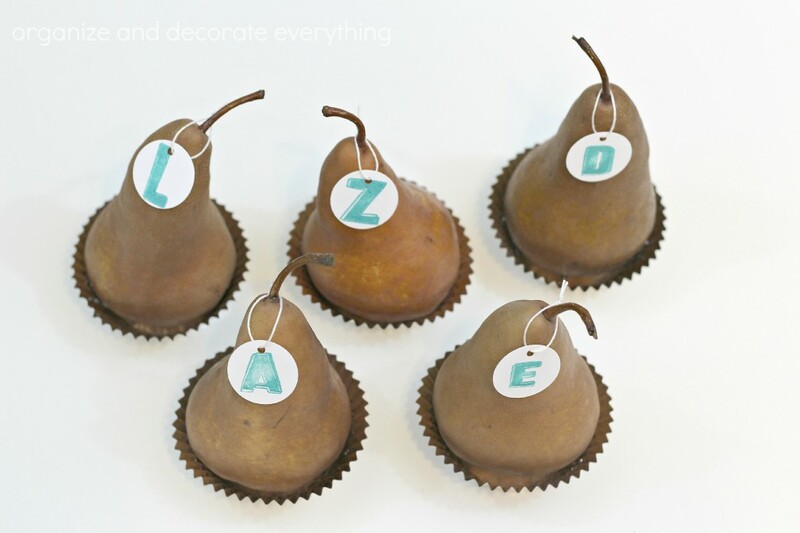 And they come in a few different colors so you can pick the kind that matches your table. 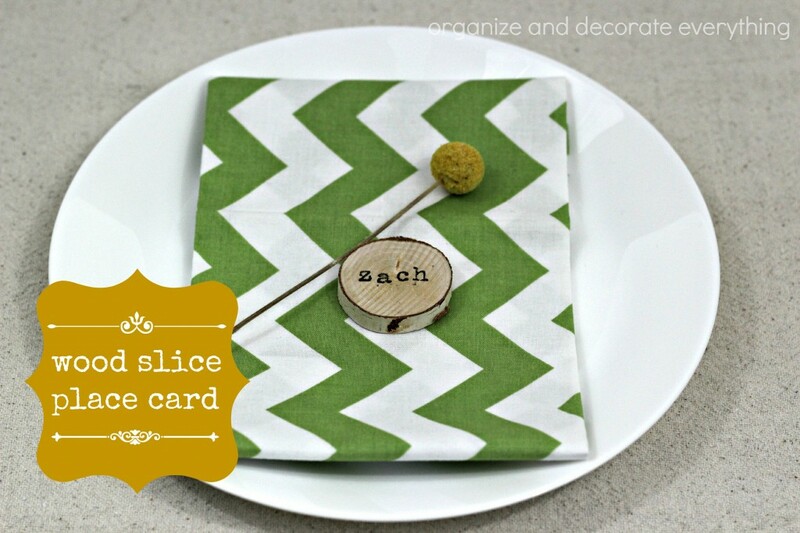 Make the tags by using a 1 1/4″ circle punch to punch the circles out of white cardstock. Make a small hole at the top with the hole punch. Stamp the letters on the front of each tag. Thread the floss through the small hole and tie in a small loop. 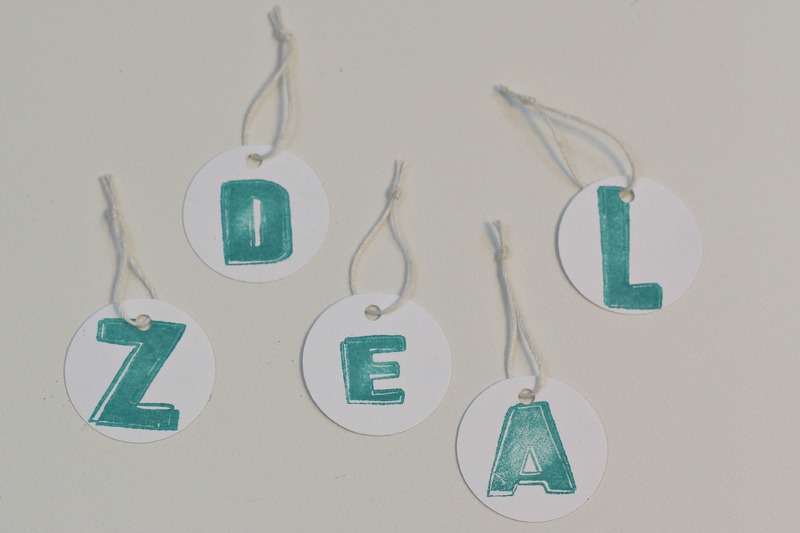 You can also purchase pre-made tags and then stamp them with the initial. 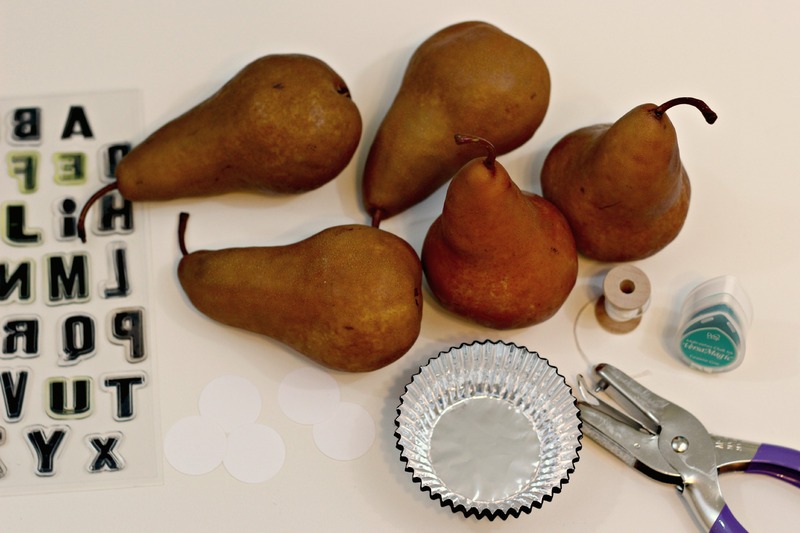 Simply place the tag over the stem of the pear. 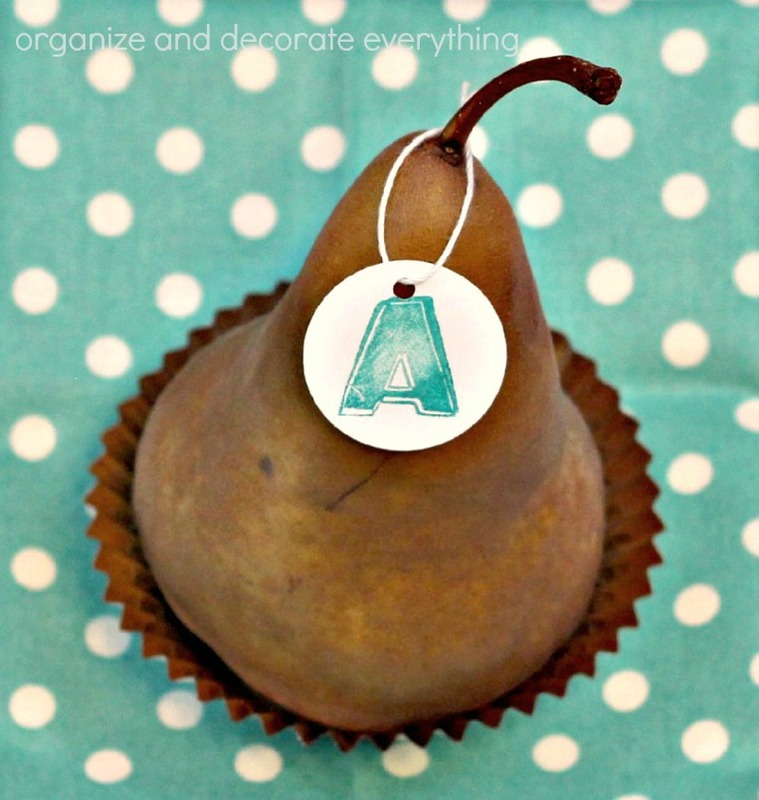 Check to see if your pears stand well at the store, some of mine didn’t. By the way, these pears were delicious. We had to eat them, since there was no way they were going to last until the holidays. You can stamp the initial tags using what ever color you like. 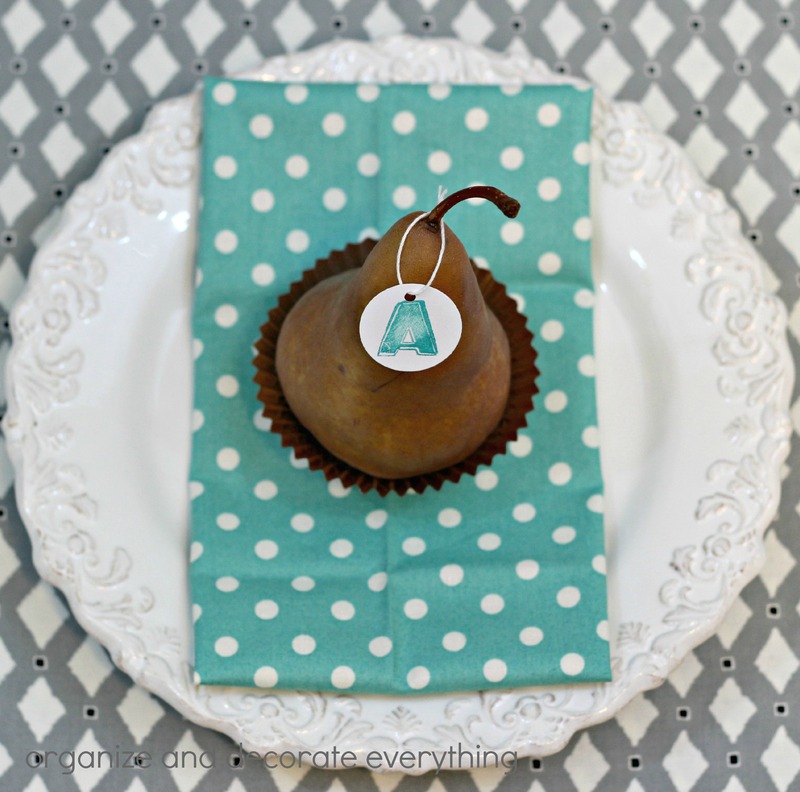 I really liked this color combination so I chose a teal stamp pad, but use a color from the linens you have or one that will complement them. They’re so quick and easy to make, plus they’re inexpensive and you can eat them after dinner (or during dinner). 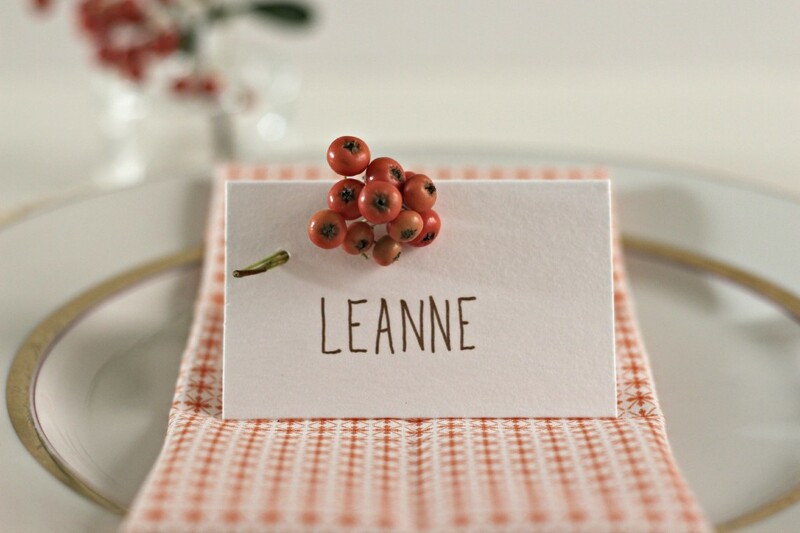 This is my last Simple Place Card idea but you can check out the rest of them below. 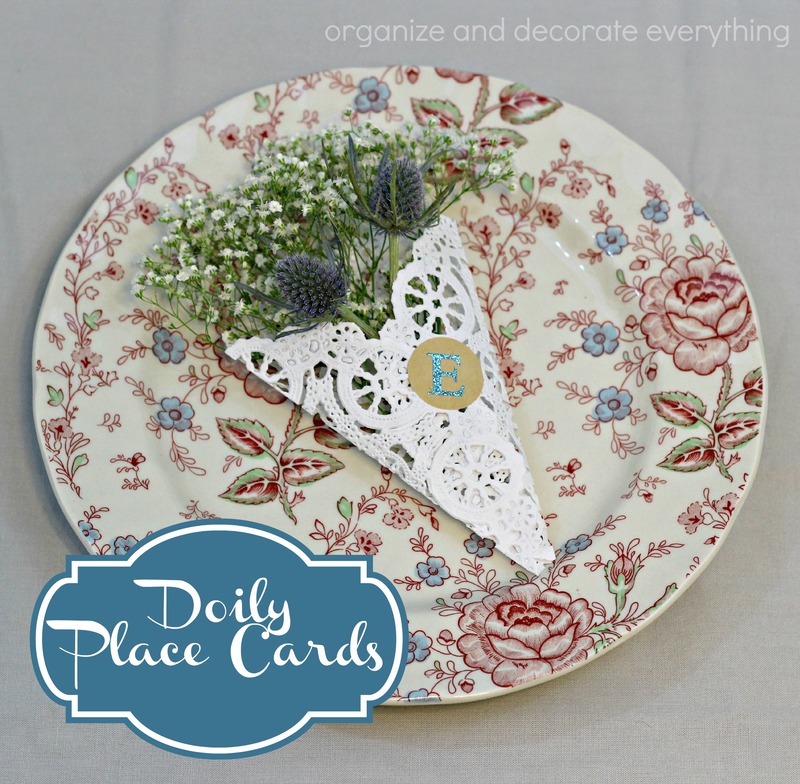 Will you be making any of these place cards? I’d love to see them if you do.